One very effective method for helping client’s with a number of different problems is to use a technique frequently called “pin-and-stretch.” Some of the common areas that this approach could be used with include: leg and ankle, thigh and knee, forearm and wrist, arm and shoulder, and the cervical region. 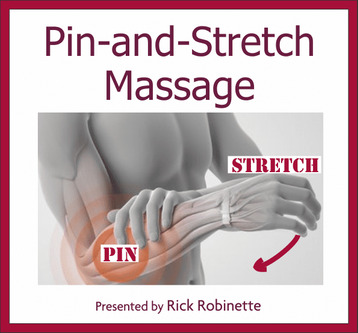 Learn how pin-and-stretch techniques can help with the pain and discomfort problems that these body regions sometimes produce. set of sheets, face cradle cover, bolster, pen/pencil.